There four primary nations/tech trees available in the game including U.S.A, Germany, Japans and U.S.S.R. with the bulk of the ships coming from the more extensive U.S.A. and Japanese tech trees, which were the first nations to be added to the game and also those that saw the most extensive naval combat in the Pacific. 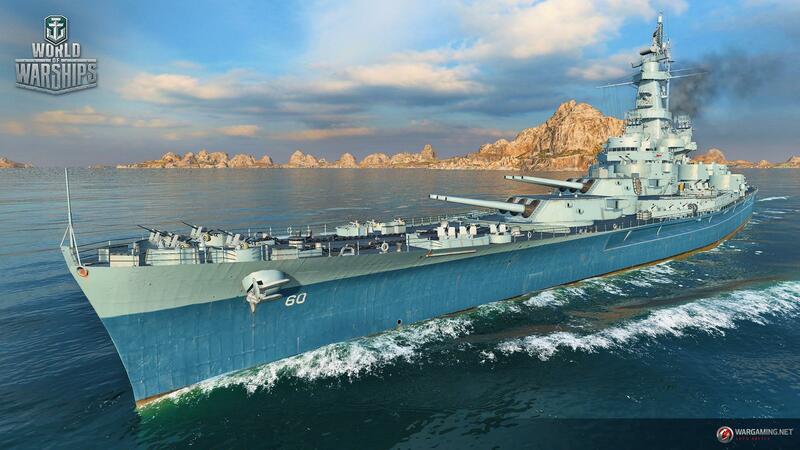 The USA and Japanese tech trees currently have a wide selection of Destroyers, Cruisers, Battleships and Aircraft Carriers as part of their available ships, with U.S.S.R. and Germany currently focusing heavily on Cruisers with a handful of other options. Players earn XP in games and can use this XP to unlock new ships, upgrade them and subsequently gain access to unlock higher tier ships of the same classification. Destroyers are a versatile ship able to use torpedoes to assist in kills, anti-aircraft cover to help teammates, and scout out enemy ships for the more damage focused ships to take on. Cruisers are extremely maneuverable and can react quickly to any situation, ideal for shielding destroyers they are a strong toe-to-toe vessel against other cruisers. Battleships are the power behind a fleet, whilst a little slower they have the highest defenses and the most powerful damage output combined with a multitude of gun batteries and anti-aircraft to take out planes and smaller ships. Aircraft carriers focus on providing air support to teams using their Torpedo Bombers, Diver Bombers and Fighter Planes, which bring different utility and use to the team overall. When a ship has been unlocked by spending XP and then purchased using credits, players can upgrade various modules on the ship as well as equip it with specific ammunition and consumables, offering a level of individual customization to each player. Whether focusing on modules to increase torpedo loading times, or equipping you ship with scout planes, the fine tuning aspect provides more tactical strategy to any battle. The battles themselves are team focused objective based battles where players must capture various points to increase their score or simply focusing on eliminating the entire enemy team. Combat is a mix of slow and steady preparation as players move into position, poke at enemy defenses and try to get an idea of where their enemy is located; once appearing on the map then players are able to fire at each other with their ships guns. Positioning is key in the game as ships come with a variety of guns aboard, players can line up their main gun to aim and then secondary guns can line up to add a little extra firepower providing the main gun is aimed within their own firing arc; aiming off your starboard side means all a ships starboard guns can also aim at the target, but the portside turrets cannot. Similarly when being attacked if a players ship is exposing its entire flank to an attacking ship then it makes itself a wider target to hit, and so approaching an enemy face on can make them a much smaller target but at the expense of often not having as many of their own gun turrets able to add to their own attack. As ships are typically constantly moving then players must predict the path that the target ship will be traveling into and making their attack ahead of it so that it sails into it, either predicting a long-arc from their main guns or a torpedo attack. Ships have health points and can take different types of disabling damage in a battle from motors, weapons and even having fires occur aboard the ship.